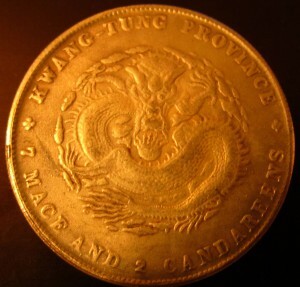 Reader Arun sent me pictures of the Kwang-Tung dollar below, seeking confirmation of its authenticity. While I could see the coin was fake at a glance, I also thought it could make a good case study. When beginner or casual collectors attempt to detect forgeries, they will usually try to determine if the coin they have in hand looks similar enough to a known “good coin”, usually from an illustrated coin catalogue. The problem with this method is the pictures included in printed catalogues are mostly meant to help identify a coin type and therefore rather small; they do not expose enough details for this comparison process to be meaningful. 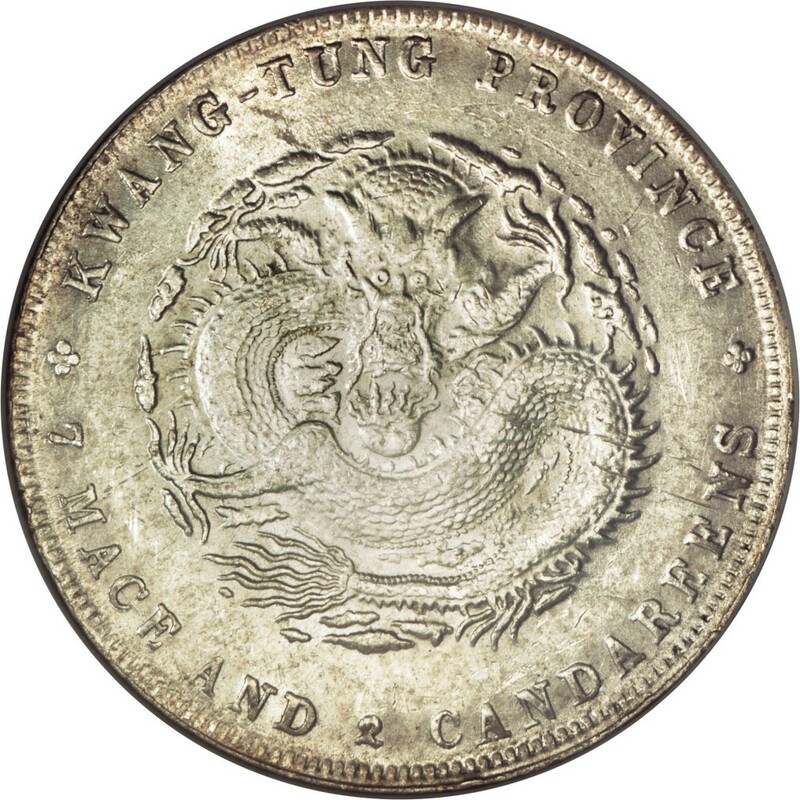 The Kwang-Tung dollar is especially ill-fitted for this approach. A lot of them suffer from weak strike, and it can be easy for the unaverted eye to mistakenly match the overall coarseness of a fake coin with the fading details of a genuine coin struck with worn dies. Even using the high resolution picture above, an inexperienced Chinese coins collector may think both coins are identical. This is because most casual collectors will “read” the coin: instead of seeing that the shape of the lettering is different (much bolder on the fake coin), they will see the text on both coins is the same. More subtle details like the coin denticles are likely to be ignored, as a boring frame for the devices of the coin: the attention of the beginner will be focused instead on the dragon, which is badly struck on both coins and thus actually rather similar. It is however entirely possible to see that this coin is fake without even examining its devices. The “grainy” aspect of the surface of our reader’s coin, and the many “bumps” I circled in red are clear indication that this coin was struck with low quality cast dies. Such dies suffer from a common defect, called gas porosity voids, which results of the expansion of gas entrapped during the metal handling or in the injection process. A coin struck using such dies will exhibit the lusterless, pimply surfaces typical of a low grade forgery.